Lansing Lugnuts first baseman Ryan Noda and Peoria Chiefs RHP Paul Balestrieri respectively were named the Midwest League’s offensive player and pitcher of the week for June 4-10. In five games during that period, Noda batted .500 (7-for-14) with four homers, one double, five walks, five runs batted in, and four runs scored. 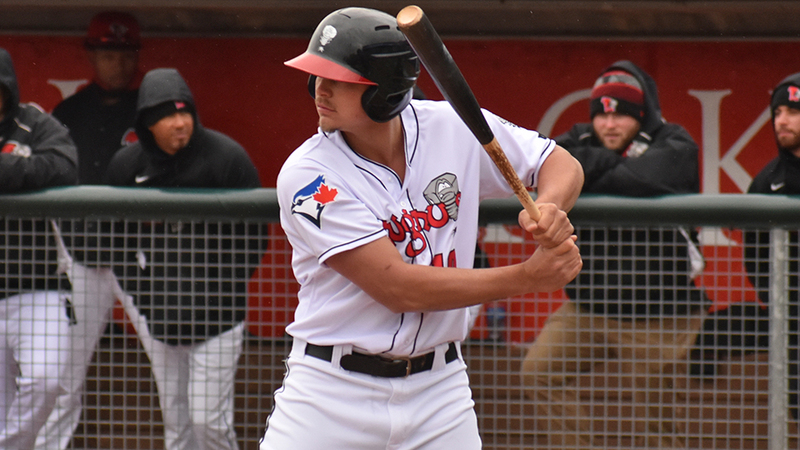 The Toronto Blue Jays prospect currently has a nine-game hitting streak. Noda is batting .238 with 5 HR, 12 doubles, 25 RBI and 8 SB in 52 games with the Lugnuts this season. In his pro debut season last year, he batted .364 with 7 HR, 28 XBH, 39 RBI and 7 SB in 66 games with the Bluefield Blue Jays of the rookie-level Appalachian League. Balestrieri made one start last week, and he was near-perfect in it. He pitched a nine-inning no-hitter against the Kane County Cougars on Thursday, allowing only one baserunner in the game. He struck out six batters. 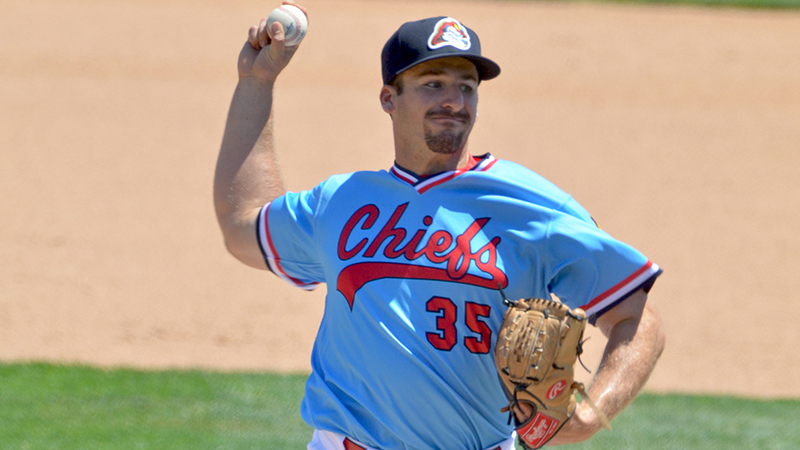 The St. Louis Cardinals prospect is 2-2 with a 4.09 ERA, 18 strikeouts and four walks in 22 innings (five games/four starts) for the Chiefs this season. In his pro debut season last year, he went 3-4 with a 6.49 ERA, 40 strikeouts and 28 walks in 52.2 innings (14 games/12 starts) for the State College Spikes of the short-season New York-Penn League. The Bowling Green Hot Rods beat the Dayton Dragons 8-4 Sunday, making them the first Midwest League team to reach 40 wins and clinch a playoff berth this season. With only seven days left before the All-Star break, it looks like Lansing will claim the other Eastern Division playoff spot. The Lugnuts trail the Hot Rods by two games, while all other Eastern Division teams trail Bowling Green by at least 8.5 games heading into Monday. The race is a lot tighter in the Western Division, with the Clinton LumberKings currently on top. They lead Peoria by two games and the Quad Cities River Bandits by three games. All other Western Division teams are at least six games back. This entry was posted in 2018 Playoffs, Appalachian League, Bluefield Blue Jays, Bowling Green Hot Rods, Clinton LumberKings, Dayton Dragons, Kane County Cougars, Lansing Lugnuts, Midwest League, New York-Penn League, Peoria Chiefs, Quad Cities River Bandits, State College Spikes. Bookmark the permalink.